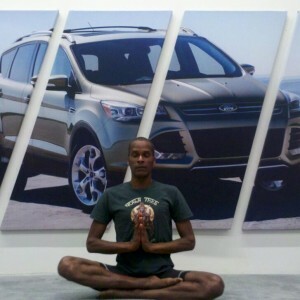 San Francisco Yoga Teacher, Tony Eason enjoys making yoga classes accessible to each & every individual. Weekly you can find him teaching private yoga classes anywhere – gyms, corporate offices, weddings, catered parties, friendly gatherings, private residences and even rooftops. 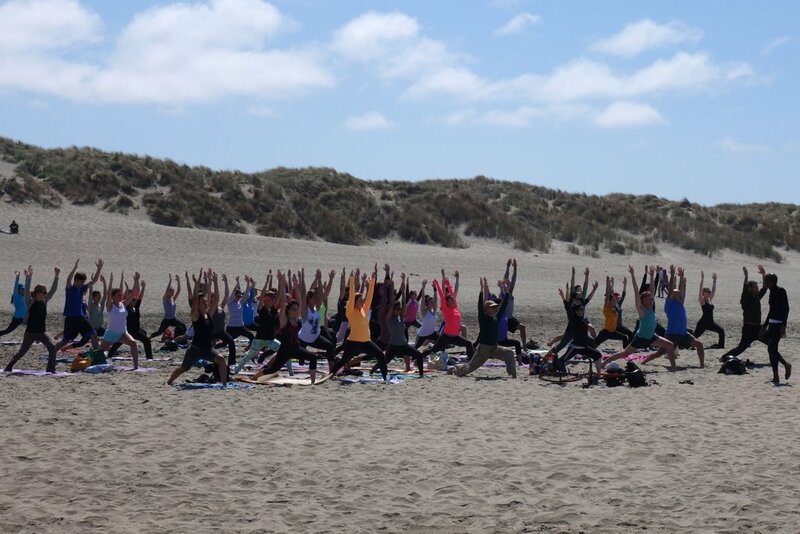 The idea of practicing yoga among 45 yogis & yoginis makes you shake at the knees. You’re a beginner who wants to get an idea of what you are getting into before you hit the yoga studio. 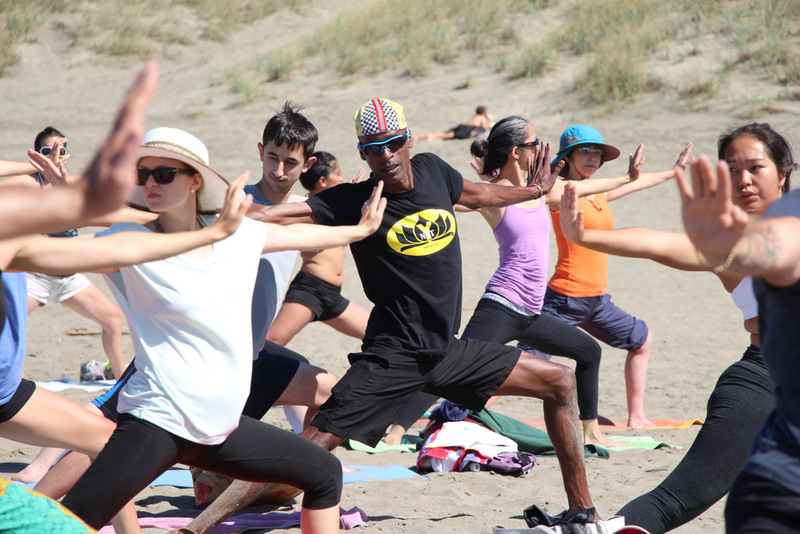 You are organizing an exotic yoga retreat or family reunion and you want to offer a private yoga lesson. You are yearning for an individual yoga instructor, anatomical alignment verbal clues, and/or physical adjustments. Tony Eason could just possibly be your man. 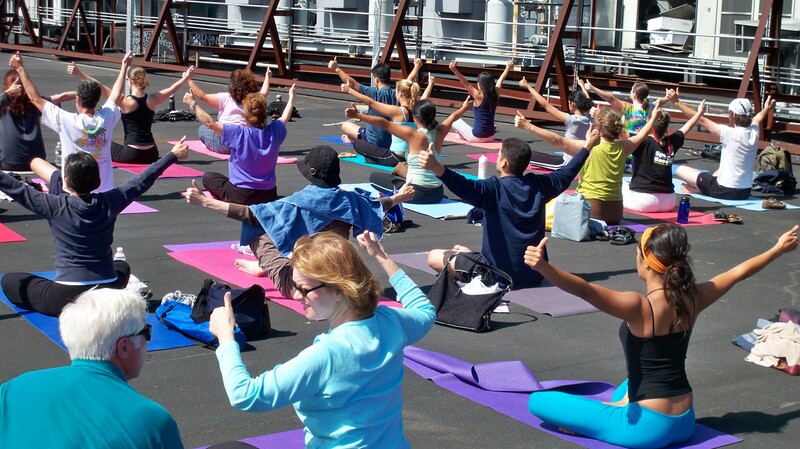 Is your office yearning to bring a wellness class to the corporate workplace, conference or group seminar? Corporate yoga is a fabulous way to encourage employee health & well being, as well as to provide a team building experience between employees beyond the meetings & deadlines. 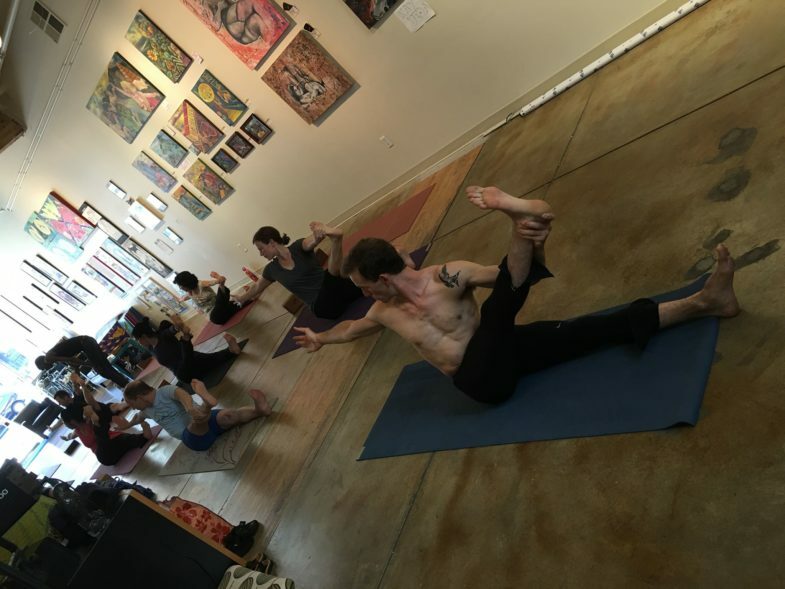 Perhaps, similar to Sports Basement, you have office space and want to offer free yoga instruction to the San Francisco Bay Area community while creating more foot traffic to your business ? Workspace Yoga | Art Saves Lives Gallery | Castro District, San Francisco. Is Your Office Space Yoga-able? The Next Frontier in Office Space?